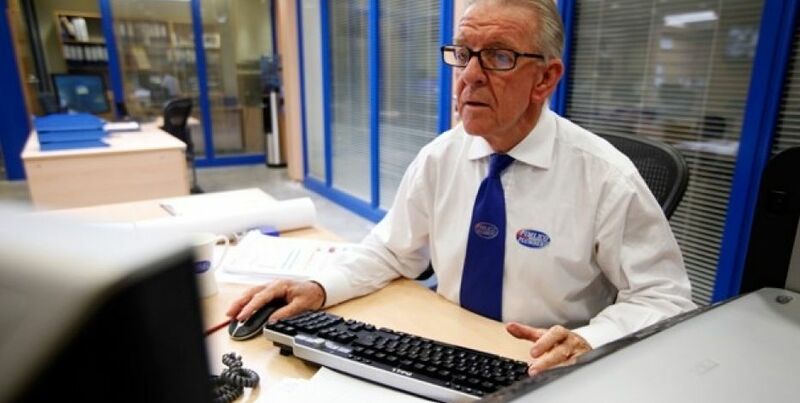 Is the economy failing older workers too? Times are tougher for older workers, but are things actually tougher than they seem? 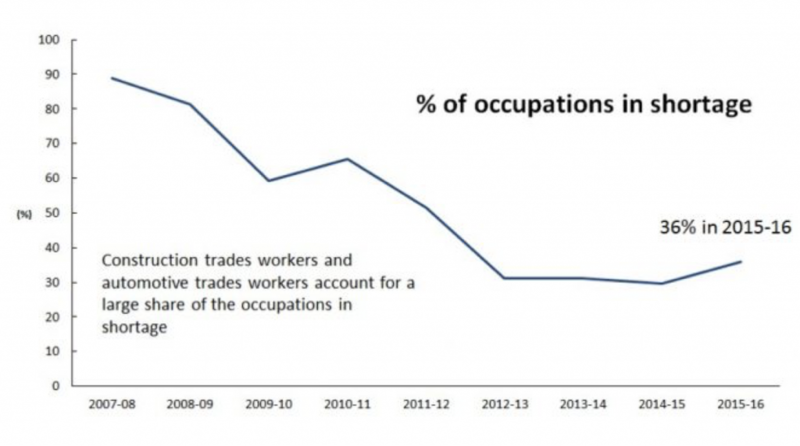 Last week I laid out a few charts about why the labour market is failing the fellahs. The Australian job market looks pretty decent… until you scratch the surface. When you do, you can see that there’s a lot of churn going on. Solid, full-time jobs are being replaced by casual part-time work. Total hours worked are falling, and male-dominated industries are being hit hardest. As a result, men are leaving the work-force in record numbers. So the labour market doesn’t seem to have a lot to offer a bloke. But is it failing our older workers too? That seems to be what the data is suggesting. Last week I saw new research from the Brotherhood of St Laurence revealing that 40% of recipients of employment services last year were mature age Australians. That’s almost half. What’s more, that 40% has spent more than a year on income support. Long-term unemployment is particularly hard on older workers. It’s much harder to prove that you’ve kept your skills up to date. (There’s still a lot of stigma around grey hair). It’s easier to find a second chance as younger person. It also found that those that do find jobs are increasingly working in low-paid and low-skilled areas like supermarket packing and traffic controlling. More than one in five people on the NewStart allowance for more than a year were over the age of 50, according to the researchers citing Department of Social Services labour market figures for March this year. First up, when did “over 45” become our definition of ‘older worker’?? Seriously? 45 is the prime of life. It’s peak productivity. It says a lot about the way we view and value experience and wisdom if we start labelling 45 as ‘old’. 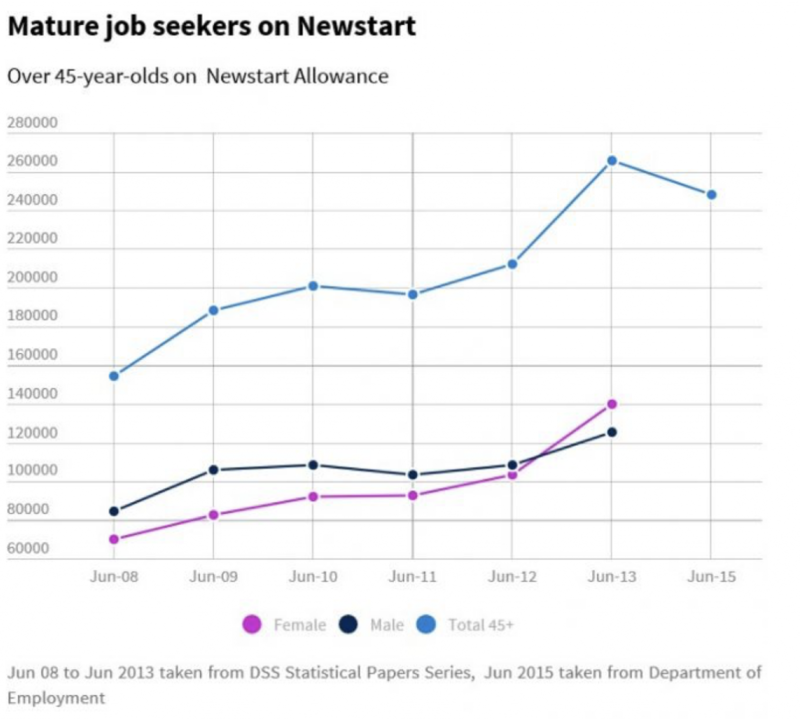 Second, when it says one in five people on Newstart are over 50, I’d expect this grossly mis-represents the problem. Often, mature workers have partners that are earning enough to keep them from welfare eligibility, or they have assets and savings they can draw on (though they’re supposed to be keeping those aside for later). I expect there’s a lot of mature workers who find themselves out of work, but are simply too asset rich to get picked up by the official statistics. And so they find themselves caught in a strange no-man’s land. Ineligible for government benefits, they’re too young to retire but too old for employers with misgivings (biases) against older workers. And I hear stories of people giving up trying to find work at their previous level, but when they accept that they’ll have to take a pay-cut and try to find work that’s beneath their skills and experience, they’re told they’re over-qualified for the job! The dynamics that are making it tough for male workers are the exact same dynamics making it tough for older workers. And let’s not get started on older male workers. And this is at the same time as the politicians are telling us that there’s a skills-shortage and we need to import workers on 457 visas and what not. At last count, 35% of jobs were in skills shortage, according to The Department of Employment Skills Shortages Statistical Summary for 2015-16. But look at where that chart goes to. Back in 2007 it reckons 90% of occupations were in skills shortage – that there just weren’t enough workers with the right skills. It all smells a bit fishy to me. 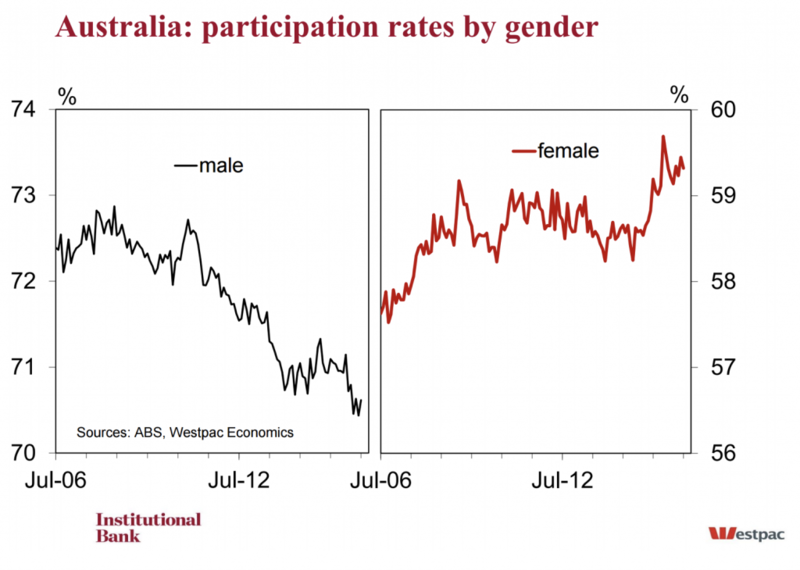 Its starting to look like older Australian blokes are being sold down the river and left out to dry. But while some of this might be down to political mischief and/or incompetence, a lot of this has to do with technological change and the reshaping of our economy. And from those things, there’s no way back. And I’ve said it before, but when you go into business for yourself, you’re an equal opportunity employer. And as a professional property investor, you’ll find that your wisdom and experience, and especially you’re ability to get on with tradies and industry people, is invaluable. It’s a game that requires a level head, even if that head is a little greyer than it used to be. So if you’re an older bloke reading this, keep it in mind. Maybe you don’t want to go full-tilt and shift careers completely. But in times like these, a back-up income stream can be a very handy thing to have. The labour market just isn’t as friendly as it used to be. Have you seen these changes playing out? What can we do about it?